I have a new Product Spotlight to share with you all from DeNami Design. 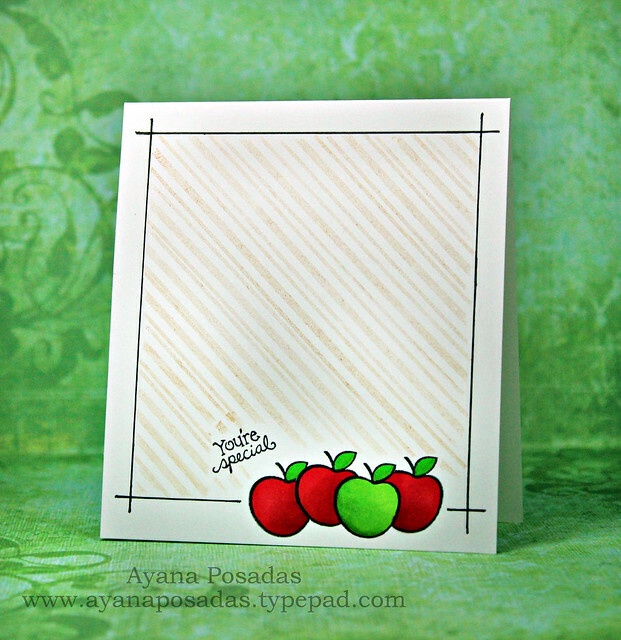 This week's stamp is the Small Apple image and it is currently being offered at 10% off. It's a perfect stamp to use on "Back to School" cards and many other occasions as well. 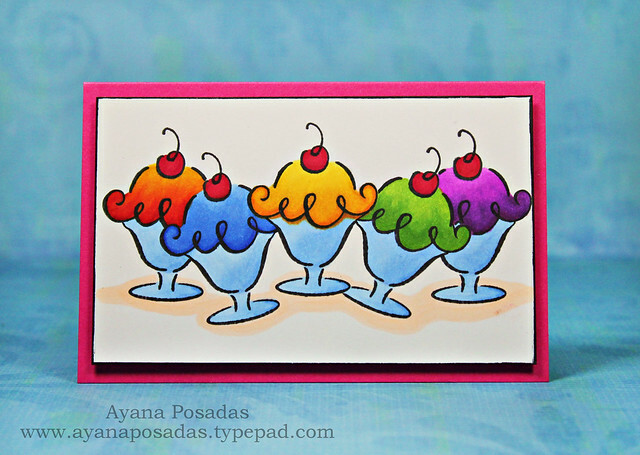 Just head on over to the DeNami blog for all of the details and more fun card samples. So sorry for the short post today. I hope you are all having a fantastic week so far. Thank you so much for stopping by! Hello Everyone! Welcome to the DeNami Design Tasty Treats Blog Hop! If you've come from Kimberly Kendle's blog, then you're on the right track. You can also visit the DeNami blog too, for a full list of all of the participants on the hop. 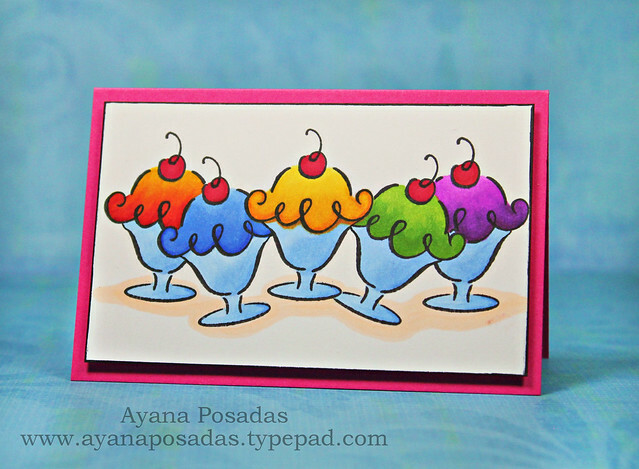 My card for today showcases the delicious ice cream sundae stamp image. I decided to do a little masking and some fun coloring in order to create this card. Hope you all enjoy it! Your next stop on the DeNami hop is the wonderful blog of: Suzanne Bier. Hope you get a chance to check out her creations, as well as the work from everyone else on today's hop! Good Morning Everyone... Hope you are all enjoying the nice holiday weekend! Today, I am just sharing the newest Theme Challenge from DeNami Design. This month's theme is any card that showcases ANIMALS!... Sounds fun, huh? For my card, as you can see above, I chose to go with a holiday theme so that I could use the adorable Puppy in a Stocking image from the most recent stamp release. I hope you guys will get a chance to play along in this challenge as well. Just be sure to stop by the DeNami blog for all of the details and for more fun sample cards from the rest of the DT too. Thanks so much for stopping by! Have a fabulous Monday!